In the afternoon of October 22nd, swissnex China had the great pleasure to receive the visit of 36 EMBA students from University of Zurich (UZH). Dr. Felix Moesner, CEO swissnex China presented the landscape of higher education, research and innovation in China as well as the mission and activities of swissnex China. Dr. Felix Moesner, Science Consul and CEO of swissnex China, presented the swissnex China mission to the delegation. Mr. Olivier Zehnder, Consul General of Switzerland in Shanghai introduced to Sino-Swiss relations and Swiss presence in China and Shanghai. 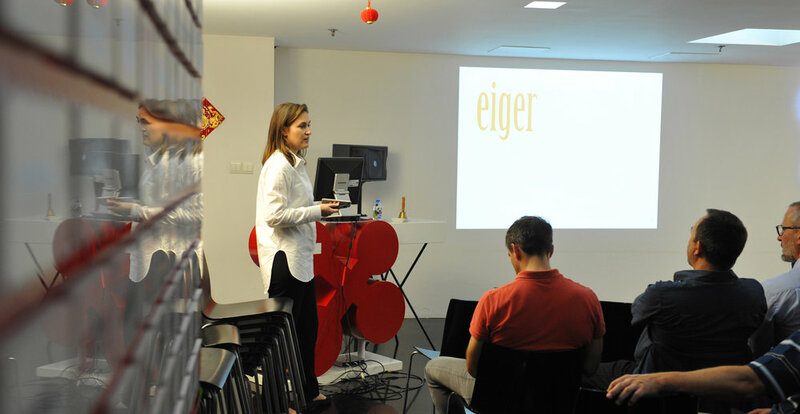 The group was then instructed by Gianna Abegg, Swiss-Attorney-at-Law of eiger about legal issues when doing business in China. Patrick Glauser, Head of Operations & Business Development of M-Industry China gave a glimpse of doing e-commerce in China and shared some experiences of the company with the group. Marco Duri Cabalzar, General Manager of Garaventa Lift (Shanghai) then talked about the lessons he learned during his professional experience in Shanghai with useful suggestions about how to develop business in China. During the Q&A session, all the students were keen to know more about the opportunities and challenges of Chinese market entry and asked numerous questions about business operations under the complicated economic, social, technological and cultural environment of China. After the rich afternoon program, the delegation attended a networking apèro organized by UZH and swissnex China in Kartel Wine Bar, where they met 20 UZH alumni, including participants of MAS in European and Chinese Business Management program and enjoyed the fresh evening of Shanghai. Composed of leaders and senior managers in enterprises or government administration, the EMBA delegation of UZH embarked on a field trip to China to get in-depth knowledge about doing business in the most fast-growing economy. swissnex China wishes them a fruitful trip in China and looks forward to welcoming them again in 2019!